If you’ve ever had to eliminate any type of unwanted critter or pest from your home, odds are high that they might have been living in your attic. 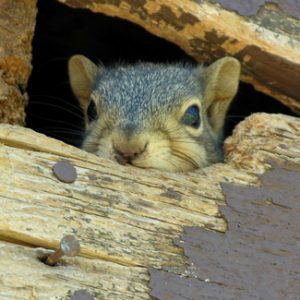 Because they are dark, spacious, and infrequently visited, attics provide the perfect place for little animals, like raccoons and squirrels, to make themselves at home, reproducing and using your space as their litter box. Unfortunately, after the wildlife has been removed, you’ll have a bit of restoration to do. In addition to industry-leading rodent control and wildlife removal services, we provide attic restoration as an added service to our customers. Our attic restoration service includes removing the debris and droppings, repairing damaged drywall, flooring, insulation, and siding to eliminate any signs of wildlife habitation. When we’re done, we’ll advise you on any preventative measures you can take to avoid future infestation. Our attic restoration services are quick and cost-effective. We’ll ensure that any trace of unwanted wildlife, as well as the smell, is gone. If you fear something may be stirring around in your attic, call us today at 281-930-5224 to schedule an appointment with our wildlife removal and rodent control technicians. We promise prompt, professional service that works.